Warm up any room in your home with electric radiant heated floors under hardwood. Thanks to TempZone products, it’s easy to see why more and more people are choosing to add wood floor radiant heat to their homes. Installing heated hardwood flooring can be done by the homeowners themselves or by a professional installer. 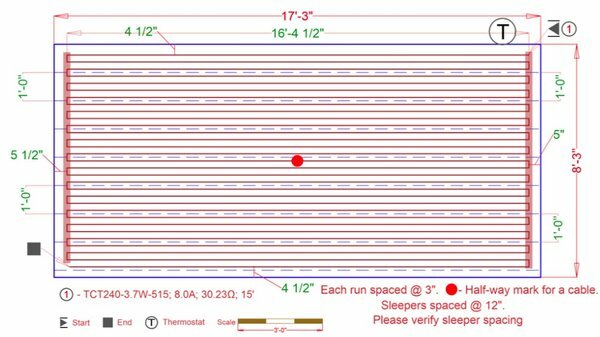 WarmlyYours provides free design help to create a plan to install your heated wood floors, and, in most instances, orders are shipped the same day they are received, so you'll be able to appreciate the advantages of radiant heating systems sooner than you thought possible. When choosing a system for heated hardwood floors there are a few considerations that will help make the project a success. Selecting wood flooring that will be the most compatible with radiant heating will help ensure many years of comfortable enjoyment of your home. 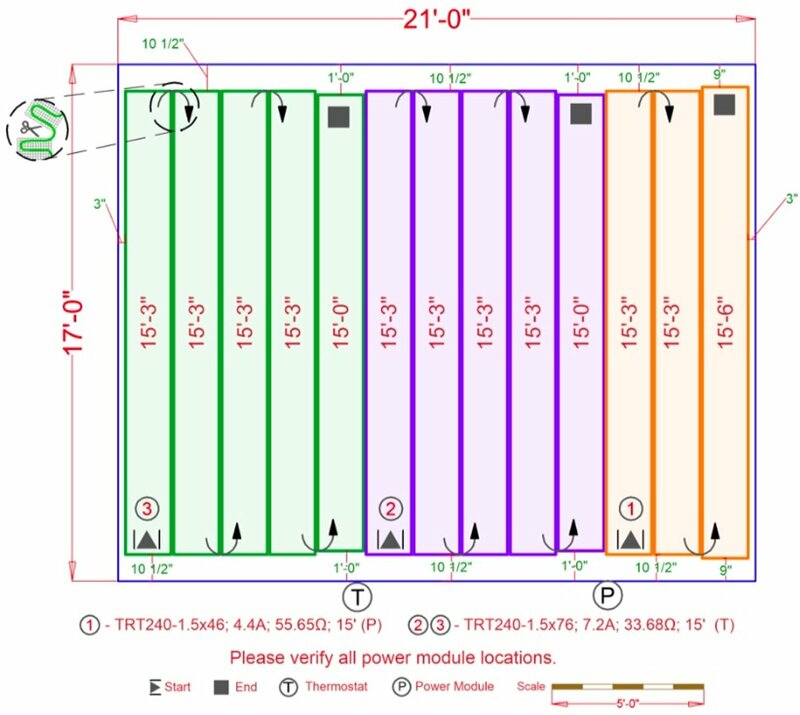 Electric radiant heating can be installed quickly and easily under any hardwood floor. For hardwood floors, WarmlyYours recommends that our TempZone™ Floor Heating Cable is installed with fixing strips.. 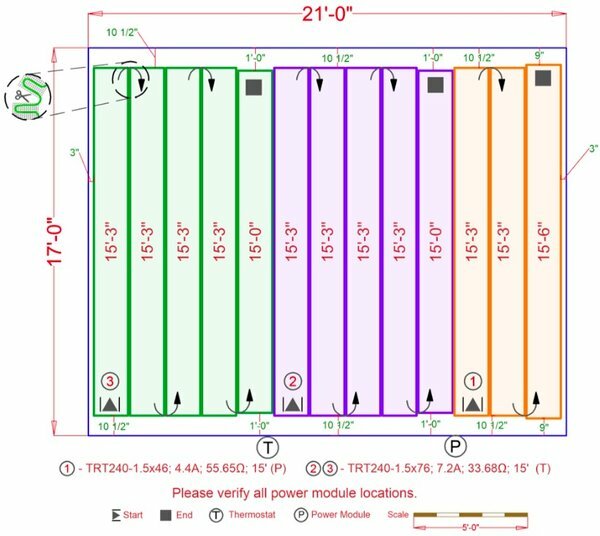 The instructions for installation are straightforward, but there is also 24/7 technical support available if you need more assistance. Thin wood sleepers are laid down on the subfloor to create channels for laying out the heating cable and fixing strips, which are then embedded in self-leveling cement. The wood flooring is then nailed into the sleepers to complete the job. 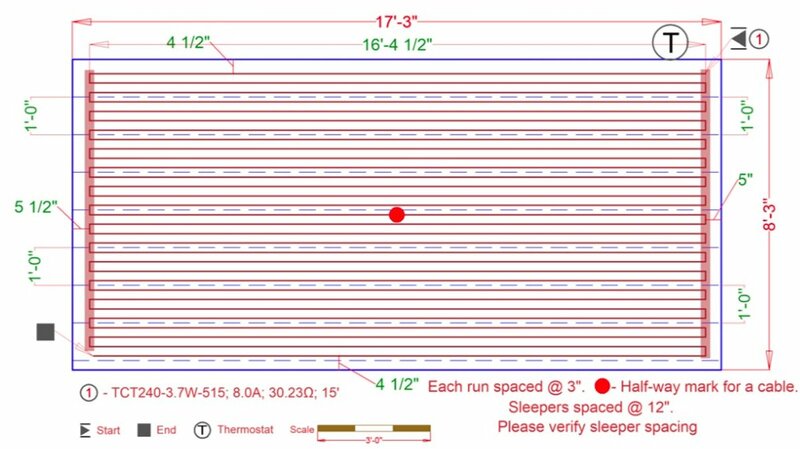 How Warm Are Heated Floor Systems? Most wood flooring manufacturers recommend that the heated wood floor temperature be maintained between 80 to 85 degrees. This provides a warmer surface than an unheated floor, even in a well-heated house, but it is not so warm that it would feel hot to the touch. The warmth of the floor is also dependent on the characteristics of the selected wood flooring. A thinner floor will typically be a few degrees warmer than a floor with thicker boards. 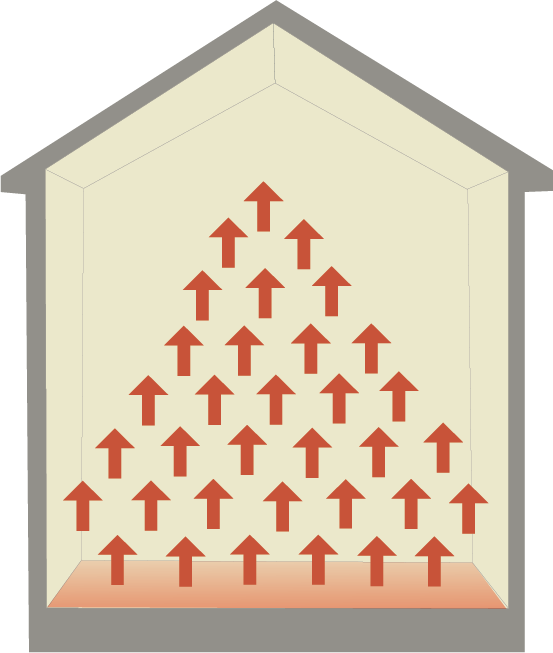 Some wood species offer slightly better performance for radiant heating than others. The way that the boards are sawn can also make a difference. Quarter sawn boards are more expensive, but are more stable and less prone to swelling and shrinkage due to humidity changes. It has also been noted that darker woods will be less likely to show gaps and cracks. 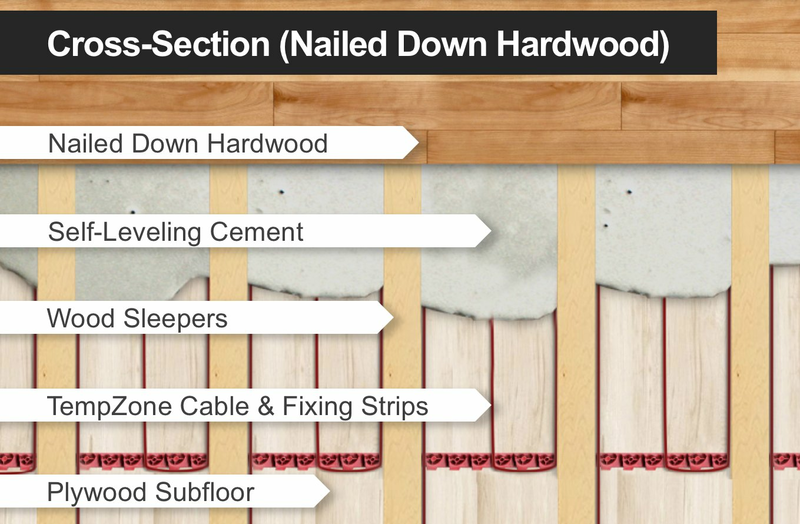 All of these factors should be considered in choosing the hardwood floor for your home.